For an evening full of art and literature, step up to the Loomis Hall Gallery. Poets James Bertolino and Anita K. Boyle will read new poems, old poems, some from books, some not, and they’ll throw in a variety of collaborative poems, too. 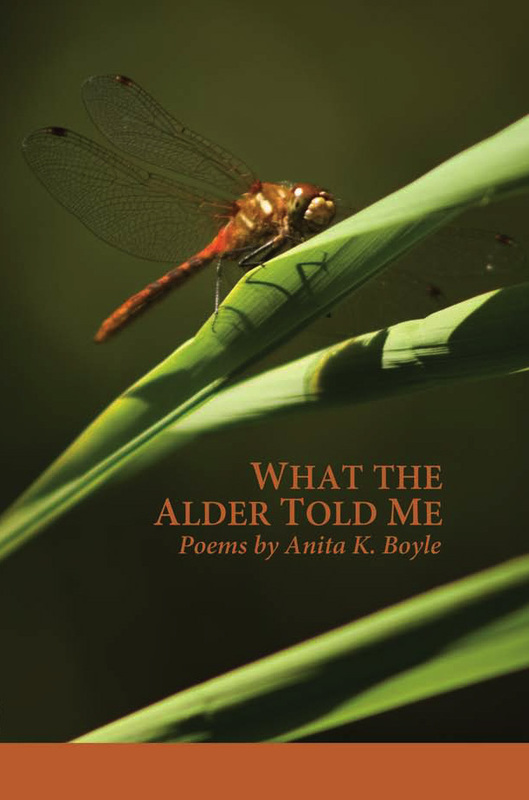 Plus, Anita will share poems from her brand new published volume, What the Alder Told Me. For this reading, they might even bring in a few of the great poets’ poems about music. Why music? There’s a jazz art show up in the gallery, which includes about a dozen of Anita’s watercolor/ink/gouache portraits of jazz musicians. When is the last time you were at a poetry reading with John Coltrane looking down at you from his place on the wall-stage? They’ll read for fifteen or twenty minutes each, which will give you a chance to take a look around afterward at the artwork by Anita and six other outstanding visual artists. The event: Friday, January 28, 7 p.m. at Village Books. Poets Belle Randall and Anita K. Boyle will read from their new volumes. It’s been a pretty exciting few months while publisher Lana Hechtman Ayers and designer Tonya Namura put my collection of poems together. The title, What the Alder Told Me, is representative of the Pacific Northwest and the semi-quirkiness of the poems. But the best part for me was thumbing through the hard copy right after ripping open the box that was dropped off on the porch. I kept mumbling, It’s real. It’s real. 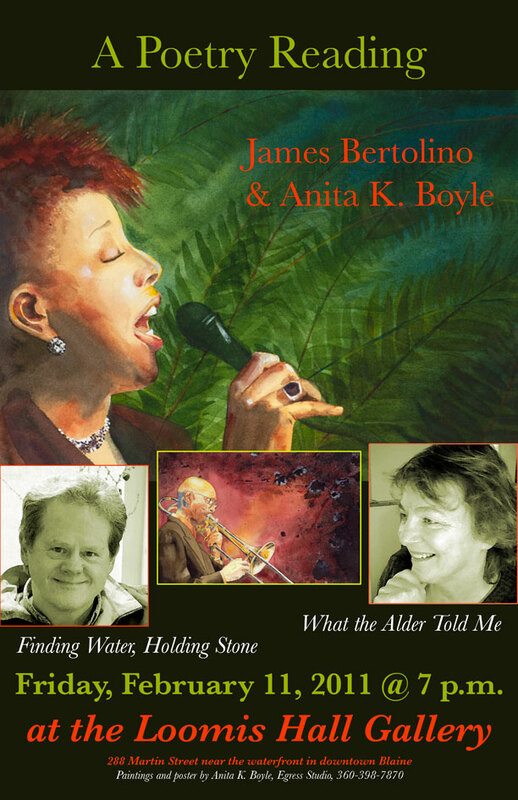 This inaugural MoonPath chapbook by Bellingham, Washington poet and artist Anita K. Boyle thoroughly embodies the exquisite quality of voice our press envisions. 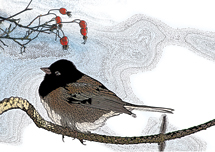 What the Alder Told Me is a collection of wise, funny, thought-provoking poems composed of taut, effervescent language, quiet strength, quirky surprise, and unflagging passion. Flowing with natural imagery, as in “paintings with infinitesimal feathers” and “the rhythm of horses chewing hay,” Boyle’s breathtaking observations captivate. And Boyle’s unparalleled Weltanschauung is evidenced everywhere, as in the section head where she informs us “Seagulls are either sitting or flying some other place to sit.” In the poem “Autumn Count,” we are apprised, “One counts on the ones who rise,” and here readers can count on this rousing, incomparable verse for a transformational experience. Belle Randall. She’s just great. 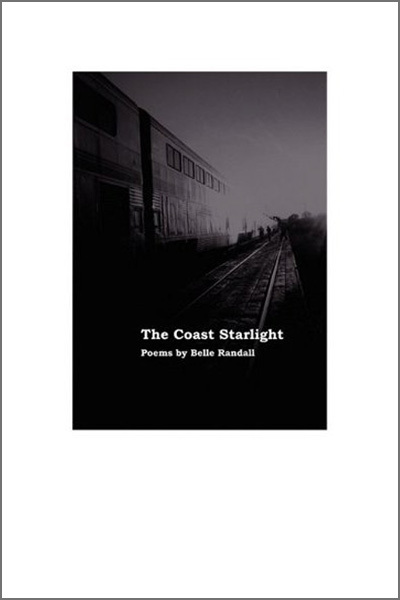 Belle’s newest full-length collection, The Coast Starlight (David Robert Books), gathers a large collection of perceptive, musical poems. The poems are often in seamless traditional forms, but others are wild free verse, which are given life with her formal palette. Randall’s sonnets are surprisingly nonchalant, until they reach out and smack you, like a good sonnet should. She is a master poet who knows how to play, and when to bring out the sledge hammer. Belle Randall is a Washington State treasure worthy of celebration. She lives in Seattle, and read at Open Books on the 18th of January. Both books are available on Amazon and at Village Books. Join us at the Loomis Hall Gallery (288 Martin Street, downtown Blaine) for two very special events. A brand new gallery show featuring some wonderful jazzy art on Friday, January 14th, and the first of four jazz concerts on Saturday, January 15th! Opening reception for the art show is January 14th from 6-9 pm. During January and February, the Loomis Hall Gallery has a display of art with a jazz theme. Seven artists are showing work, including sculptor Alaina Coleman, oil painters Katie Johnson, Lorraine Duncan, and Sabrina Ooms, mixed media artist Sandra Taylor, photographer Jeff Lindeman, along with my watercolors. My new paintings include portraits of local sax player Bob Sanders, percussionist Jud Sherwood, singer Dee Daniels, trombonist Julian Priester and Benny Goodman with his clarinet. The show is a colorful and diverse collection of art, and will run through February.